Crush 9 cookies finely; place in medium bowl. Break remaining cookies in half. Add cream cheese to cookie crumbs; mix well. 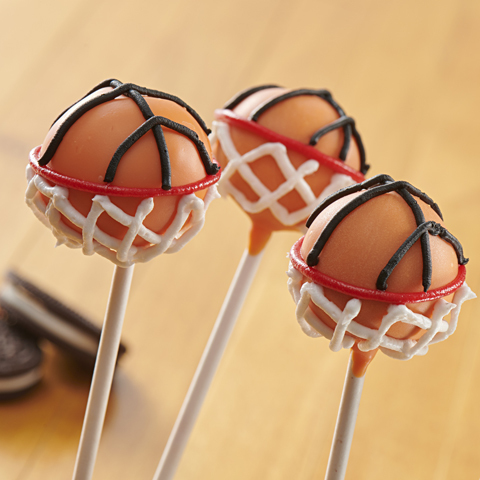 Shape into 12 (1-inch) balls. Dip 1 end of each of 12 lollipop sticks, 1 at a time, in small amount of melted chocolate; insert into center of cookie ball. 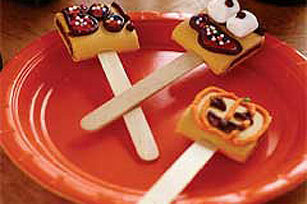 Place on waxed paper-covered rimmed baking sheet. Freeze 10 min. Dip balls, 1 at a time, in remaining melted chocolate, turning to evenly coat each ball. Return to prepared baking sheet. Cut small piece off 1 end of each cookie half to form flat edge. Dip flat end of 2 cookie halves in some of the remaining melted chocolate, then attach to sides of each cookie ball for the bat's wings. Decorate with remaining ingredients as shown in photo. Refrigerate 1 hour or until firm. Keep refrigerated. 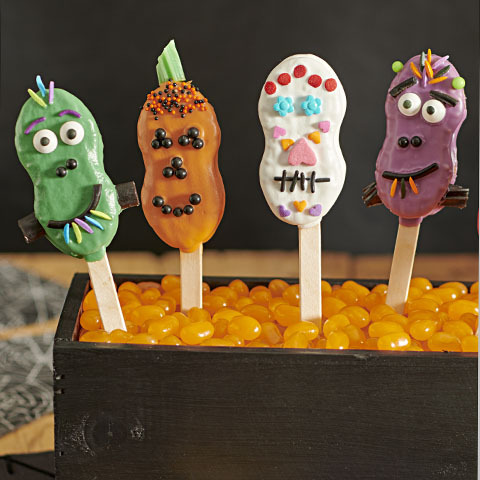 Size WiseThese seasonal sweet treats have built-in portion control to help you keep tabs on portions. 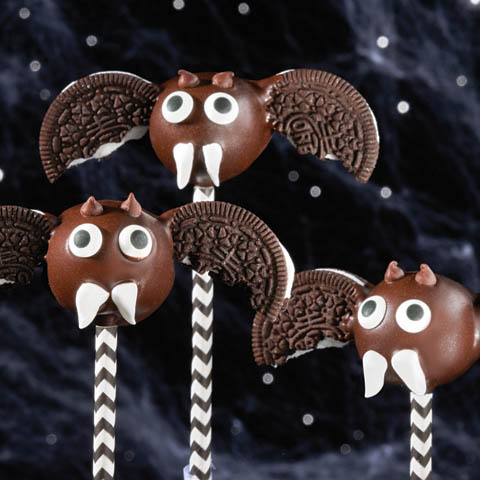 OREO Bat Cookie BallsOmit lollipop sticks. Add cookie balls, in small batches, to bowl of melted chocolate. Use 2 forks to roll cookie balls in chocolate until evenly coated. Remove balls with forks, letting excess chocolate drip back into bowl. 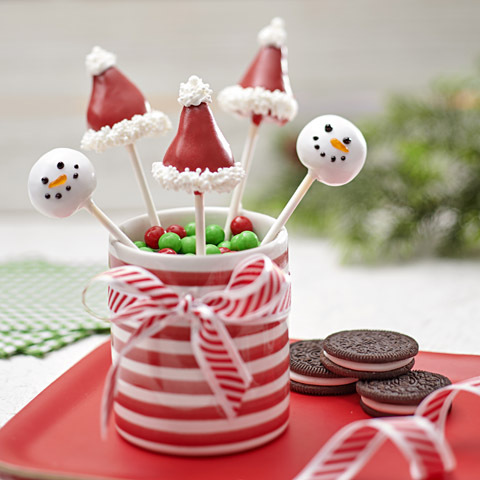 Place cookie balls on prepared pan; decorate as directed. Refrigerate until firm. SubstituteIf you don't have button candies, you can make the eyes with dots of melted white chocolate or white decorating icing. Let stand until firm, then add drop of black decorating gel to center of each.